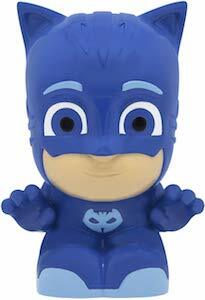 Anyone should have a reusable bottle and now there is this PJ Mask Water Bottle that is great for kids and adults . This water bottle that is made from stainless steel and is decorated with Gekko, Catboy, and Owlette and the PJ Masks logo. And there is a nice spill-roof lid with a hang loop and a cover. This PJ Masks metal water bottle is dishwasher safe so that it is easy to get ready for the next day. Kids love PJ Masks and now they can take this bottle to school or other adventures as it is always ready with your favorite beverage. 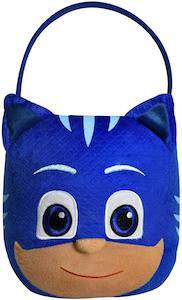 Now you can make the kids smile this Halloween all thanks to this PJ Masks Halloween Gekko Inflatable. The outdoor inflatable is made by Gemmy and looks just like Gekko as he is wearing the green PJ Mask costume and to make it perfect for Halloween Gekko is holding a carved pumpkin under his arm. The PJ Masks inflatable is 42 inches tall and will inflate itself when you plug it in and there are LED lights build into it too. So be ready for Halloween by adding this inflatable Gekko boy to your yard as part of your Halloween decorations. 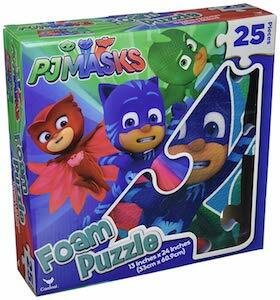 Now there is the perfect Halloween costume for the little once because now there is this PJ Masks Gekko costume. 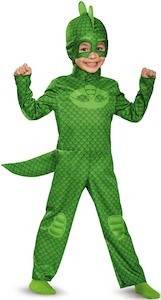 The kids Halloween costume is green and will make your child look like the Gekko character from there favorite TV show. 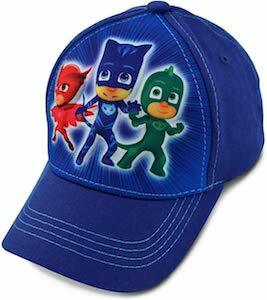 The PJ Masks costume includes a jumpsuit, tail, and hooded mask so everything your child needs besides maybe some shoes. 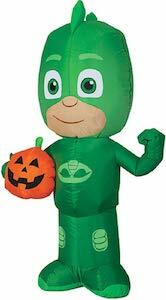 The Gekko costume comes in kids sizes 2T – 6 and is great for Halloween or just playtime at home. 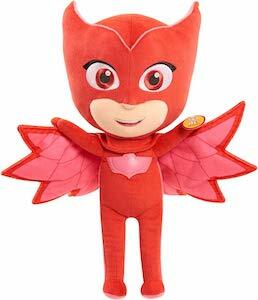 Getting out on Halloween to try to collect lots of candies will be extra fun in this costume and watching PJ Masks on TV while wearing this outfit is fun too.